U.S. tour operators, including insightCuba, have also reported an increase in solo travel in recent years, particularly female travelers, especially when it comes to a destination like Cuba. 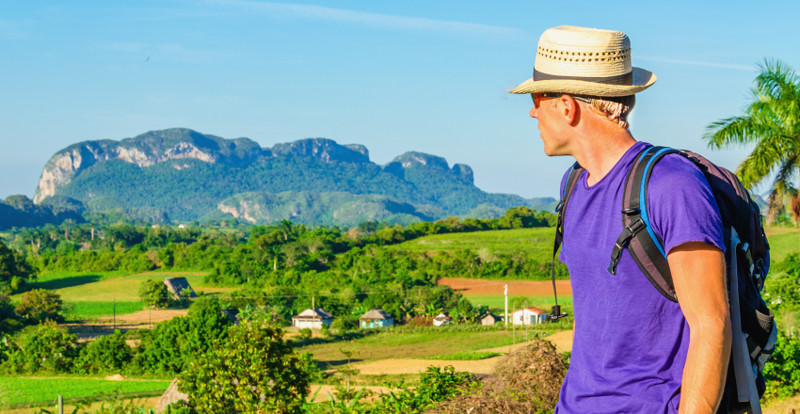 Incredibly safe and only a short flight from the U.S., solo travelers who have longed to visit Cuba are finding it an easy destination to travel to, full of culture and new experiences. Despite that U.S. travel restrictions remain for U.S. citizens and the Trump administration’s desire to roll back progress made to U.S./Cuba relations during the Obama administration, travel to Cuba remains easier than it has been in the past. And there are many options for the solo traveler. To be clear, solo travel doesn’t necessarily have to mean traveling alone, dining alone, or not having experiences to share with someone when you’re in the moment. Many solo travelers, especially baby boomers and millennials, are seeking to travel alone but with a group of like-minded travelers on a small-group tour. The benefits are numerous. Many solo travelers don’t know how to plan their own itinerary or are not comfortable making an investment in time and money to simply ‘wing-it’ once they arrive, especially if they don’t speak the local language. Other’s that are more comfortable with making all the necessary travel plans don’t want to, don’t have the time, or are less comfortable making all the decisions on their own, and prefer for someone with the necessary expertise to create a dream experience for them. Then there’s the social aspect of solo travel with a group. Anyone who has traveled on a small-group tour understands the benefits that result when traveling with others who share the same interests. There’s a special bond and a friendship that is formed, sometime for years or decades. “It’s one of the best ways to make new friends”, says Tom Popper, President of insight Cuba. “Travelers in a group collectively enhance each other’s experience. While each person has their own personal experience in any moment, they also experience that same moment vicariously through others, making the entire experience that much more intense and memorable,” he continues. Additionally, solo travelers don’t have to endure the awkwardness of eating alone. Dining with fellow travelers is a great way to learn about other destinations from your fellow travelers and interesting tidbits about their personal lives. “Years ago, I was traveling solo on a tour. This older gentleman and I became travel pals during the trip. Towards the end of the trip, and during diner, we were talking about our careers, and I learned he was the former President of the country we were traveling in!”, Popper tells with amazement. Solo travelers who have never traveled with a group before, may fear the stereotype of the 50-person tour group being led around a city with someone with a numbered paddle. This type of group travel is becoming a thing of the past, even on cruise ships. Solo travelers today will experience a much smaller group size with anywhere between 10-24 people. Not too large to depersonalize the trip, but not too small, so you can get to know a diverse group of people. Solo travel with a group requires far less planning than figuring it all out on your own. The tour company takes on the responsibility of arranging transportation, tour guides, the best lodging, itineraries, and making reservations. To top it off, there’s no need to coordinate your in-country activities before, or during, your vacation. You can say goodbye to endless reviews and hours of research to figure out the “must see” spots in a city or make reservations at the best restaurants in town. Everything from airport transfers to meet-and-greets with inspirational people are handled seamlessly. InsightCuba specializes in small group tours, averaging ten people and never more than 24 guests. Since 2000, we’ve been the go-to resource for Cuba travel – regularly cited by CNN, USA Today, Conde Nast Traveler, Travel + Leisure, and The New York Times for our expertise. All our groups are led by local guides who are bilingual - making communication throughout your trip a breeze. Our tours range from three-nights in Cuba’s most popular spots to 12-day journeys across the entire country, with over 100 departure dates stretching into 2020.